Oliveti Cubicles have worked closely with the fire service during the year which has perfected the products we create for the emergency services. When specific product needs need to be fulfilled we have helped create innovative new products in the industry. At Oliveti Cubicles we realise time is of the essence especially when it comes to the fire service and our product designs are created with this in mind. Mobility is also an area we cover allowing ease of access to equipment while remaining mobile. 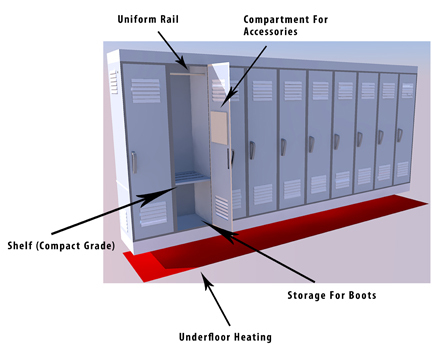 Our products include bench seating, lockers, storage and containerisation as well as many more. We are happy to talk about new ideas which make an important service more efficient. We create custom made fire kit room units of all sizes whether it be a small or large room. Units are made with safety and ease of use in mind. 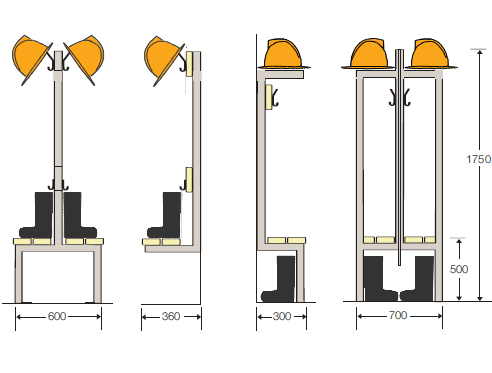 Our fire kit units are designed with efficient storage in mind, since fire kits contain many elements such as boots and accessories, the team at Oliveti have done our there best to create an efficient system.